Posted 8/30/2018 4:53pm by Sam Bellamy. We're stating to taste the flavors of early Fall! 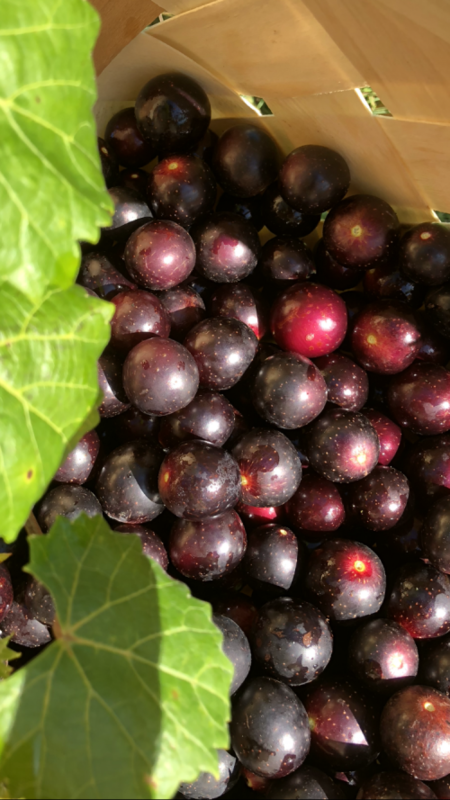 The fresh apples we have are wonderful and we are picking some beautiful muscadine grapes. 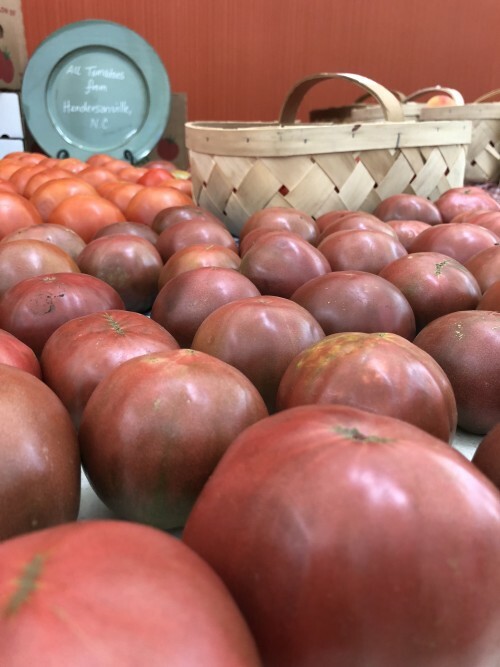 Summer favorites are still here including corn, watermelons, blackberries, and lovely heirloom tomatoes. 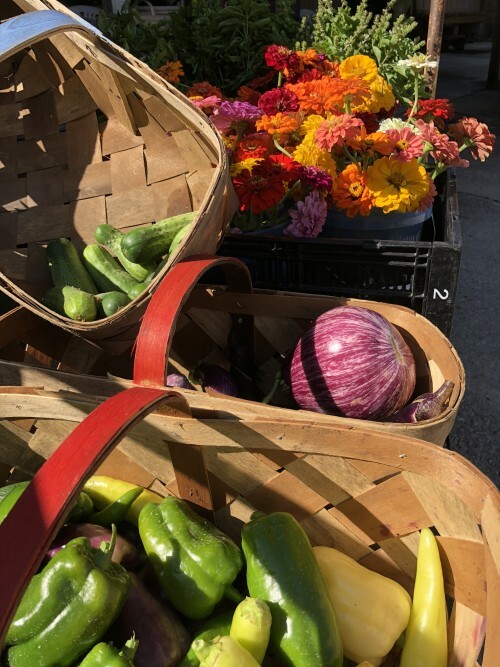 The Indigo Farms Market is open Monday - Saturday. You can visit us Wednesdays, Fridays, and Saturdays at the Myrtle Beach Farmer's Market from 9:00 - 3:00. We're also at the International Culinary Institute at Market Commons on Thursdays from 1:00 - 6:00. Posted 8/14/2018 8:07pm by Sam Bellamy. We have been enjoying the sunshine and dryer weather! 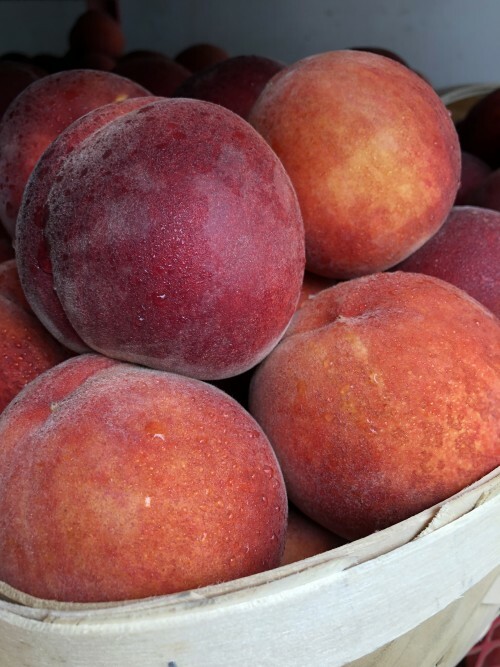 The O'Henry peaches we have right now are excellent! 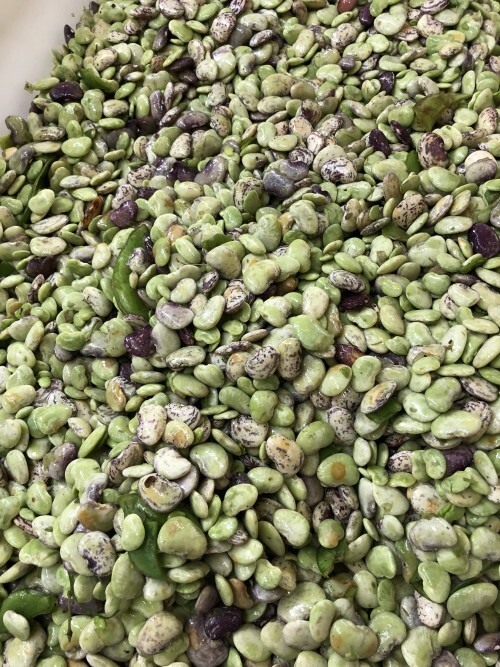 The bean sheller has been busy with butterbeans and peas. The Indigo Farms Market is open Monday - Saturday. You can visit us on Wednesdays, Fridays, and Saturdays at the Myrtle Beach Farmers Market from 9:00m- 3:00. We're also at the International Culinary Institute at Market Commons on Thursdays from 1:00 - 6:00. Posted 7/25/2018 9:38am by Sam Bellamy. Posted 7/19/2018 5:07pm by Sam Bellamy. 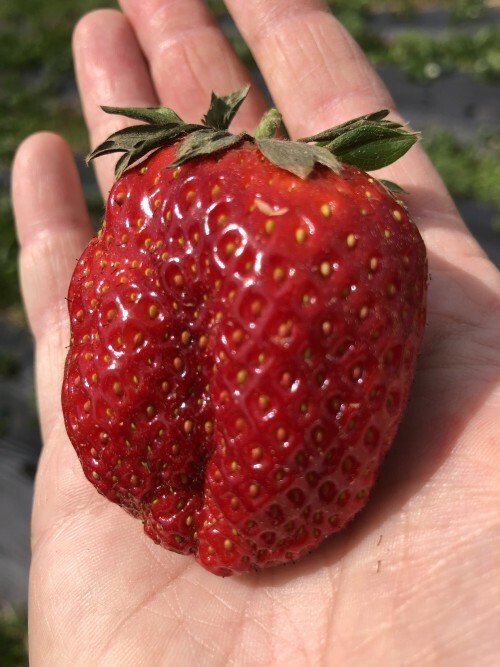 There is a lot going on these days but yes the blueberry field will be open Saturday morning 7:30 to 10:30. You can come at 6:30 and get coffee at the Moka Cafe or something to eat. Their food is delicious. The peaches at the farm market are really good as well as much of the produce. Posted 7/15/2018 6:56pm by Sam Bellamy. PYO Blueberries this Tuesday morning 7:30 am to 10 am. Posted 7/9/2018 12:40pm by Sam Bellamy. Good news the blueberry field will be open Tuesday morning at 7:30 am until 11:00 am. We are now getting peaches from Spartanburg. 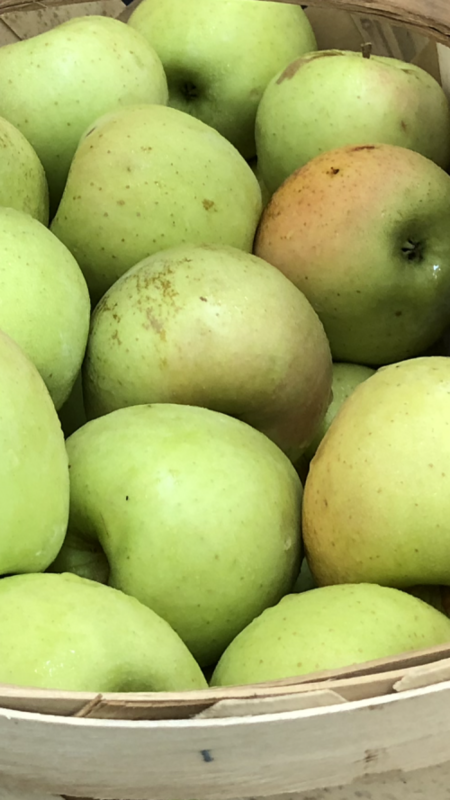 After growing peaches for over thirty years I do not hesitate to say that the Spartanburg area has perhaps some of the best peaches in North America. That may sound like a big exaggeration but until proven wrong I'll stick with it. I've grown some good peaches here on the farm but year in and out the Spartanburg peaches have been better than any I have seen anywhere. 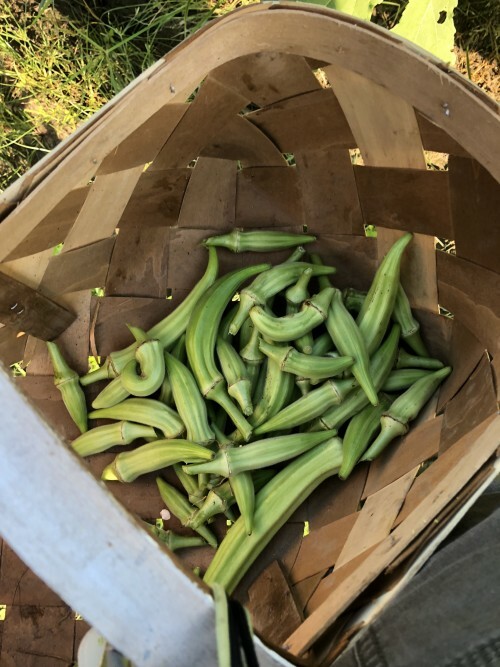 We have green butterbeans, blackberries, watermelons,cantaloupes, corn all plentiful now. Posted 7/5/2018 12:24pm by Sam Bellamy. It looks like Saturday morning will be the next blueberry the next PYO day. The berries should be plentiful. Be sure to check out the peaches and watermelons ( some of the best we have had this year). Also check out Moka cafe, it has been very well received. Posted 7/4/2018 8:33pm by Sam Bellamy. The Blueberry field will be open Thursday morning 7:30 to 10:30 am. We will open again either Friday morning or Saturday depending on weather outlook. Posted 7/2/2018 8:08pm by Sam Bellamy. Blueberry picking will be open Tuesday 7:30 to 10:30 am. The produce market has some very good watermelons and corn. The peaches and blackberries are very good now also. The produce market opens at 9 am. The Moka Cafe opens at 6:30 am so you can get something before you pick blueberries or afterwards. We anticipate having the field open before again this week and Saturday so stay in touch.